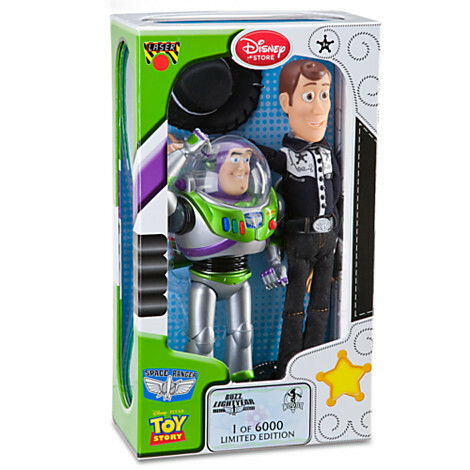 Discussion in 'Other Disney Collectibles' started by Polaris, Oct 5, 2013. 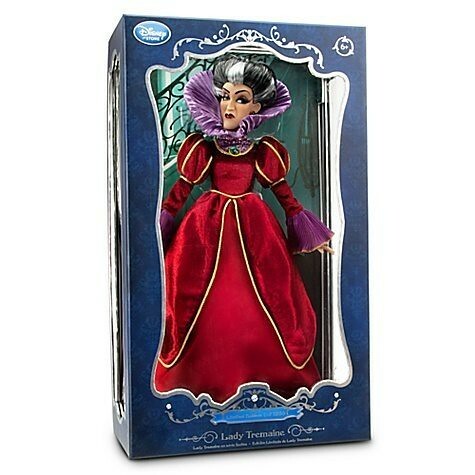 I know that we already have specific threads for the Disney LE 17”/18” dolls but I noticed that due to how popular the threads were they have so many pages to go through and a lot of questions are repeated on the thread which would have been answered already in the past. So what I thought I would do was just make a new thread with as much information about the dolls so that people can just refer to this thread rather than having to sift through multiple pages looking for the answer. So really this is more of an informative thread if that and will just be updated as more dolls and information are released. Please note that due to the amount of information this is a very long post and it is very image heavy as I have included a photo of each doll released, so I do apologise for that in advance however hope that you find it information. If there is anything else you believe should be included let me know. Also I have to credit auroradawn and Shivatopia for some of the information which I borrowed from the original Limited Edition 17” thread. 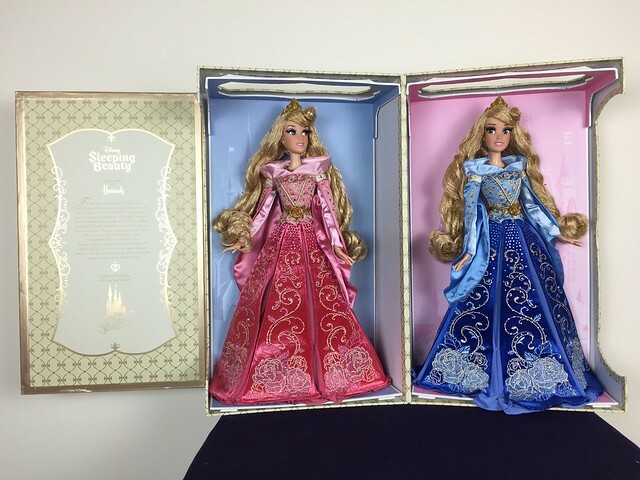 These dolls were initially released to commemorate the release of a Disney movie on blu-ray otherwise known as a diamond edition release. With regards to these “diamond” edition releases there is generally two released every year, one around Spring and the other during Fall and it should be noted that the Fall release is the one associated with a Disney princess movie Snow White (2009), Beauty and the Beast (2010), Cinderella (2012), The Little Mermaid (2013), with unconfirmed released Sleeping Beauty (2014) and Aladdin (2015). The only exception was in 2011 wherein the Lion King was released in fall and is the only to be released so far that does not contain a Disney Princess. This line was eventually coined as the ‘heirloom’ collection due to the style and look of the dolls. 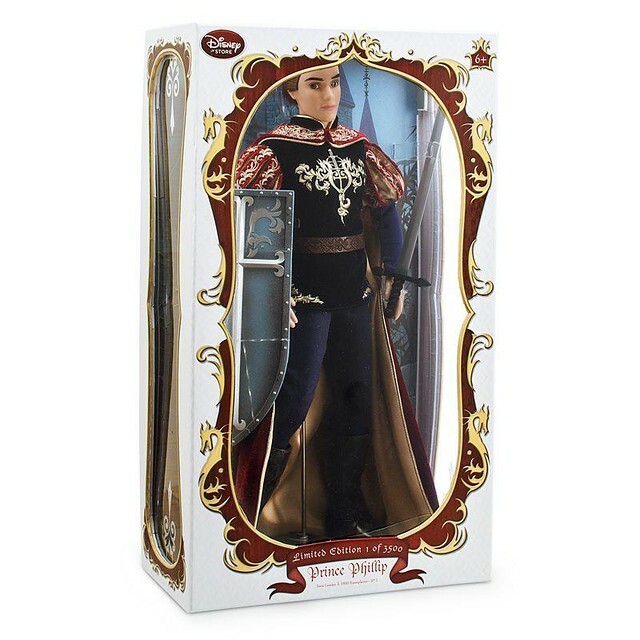 Note that there have been other characters included in this collection that are either not princesses (Alice, the villains and Prince Eric) or are more recent princesses (such as Rapunzel and Tiana) hence do not have a diamond edition release but instead are released either during the movie or home media release. 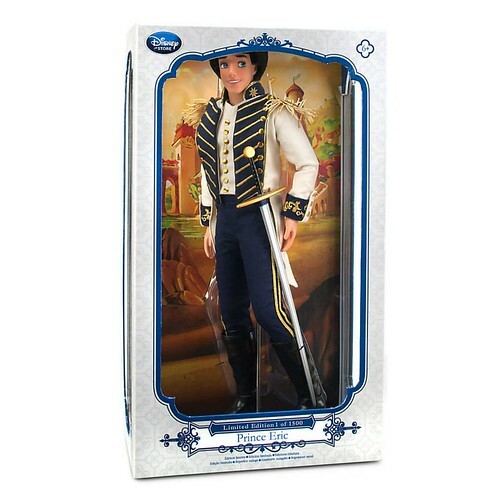 Along with this heirloom collection there are also various limited edition dolls, each released to commemorate a movie release or a special Disney event. How can you purchase the dolls? 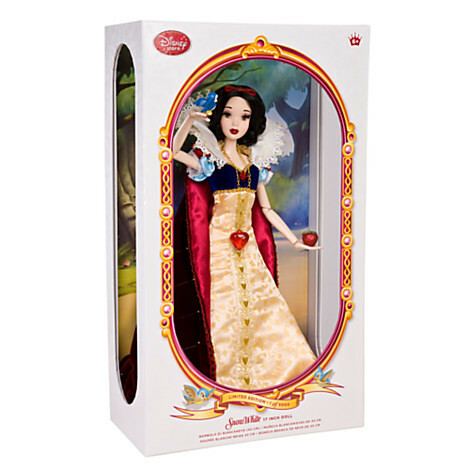 The dolls are generally made available on the Disney Store website as at 12am PST (west coast time) of the release date (the website generally updates on midnight PST of the day). 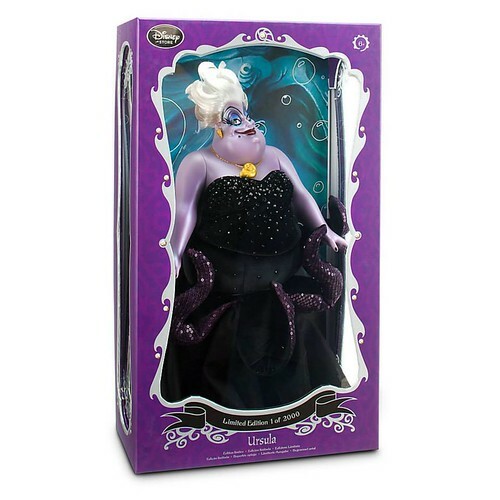 So in the case of Ursula and Eric, the dolls were made available on Tuesday Oct 1 2013 at midnight. What this means is that most people stayed up late Monday night so that they were online and ready when it became Tuesday. Note that this can change depending on whether or not where you are located has daylight savings time or if Los Angeles were to taken on daylight savings time. So always check online to ensure that the times if you are unsure. 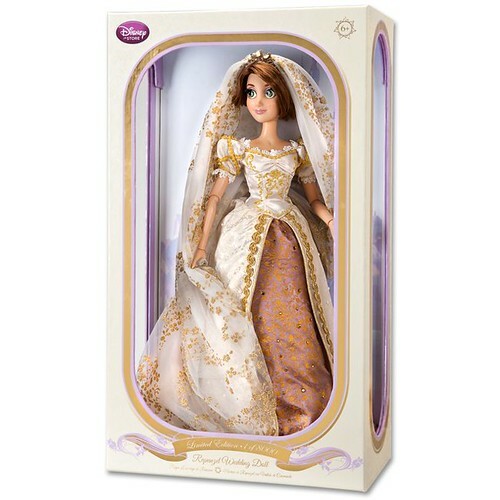 You can also purchase the dolls at your local Disney Store and these are generally available on a first come first serve basis however some store may release them as a raffle similar to the Designer lines. Note that you should check this with your store manager as it can vary from store to store, also ensure that whoever you speak to is sure of what you are referring too as some cast members can be a little unsure of their future releases at times. Do all dolls have preorders? Not all dolls will have preorders, historically in the past only a select few from the heirloom collection tend to have preorders. Most others just appear online on the release date. For those that are preorder only it is important to note that with LE dolls unlike the designer set do not hold any reserve stock for release date. All dolls are sold for preorder on the preorder release date. What this means is that once the preorders have sold out there is no way to purchase the doll. 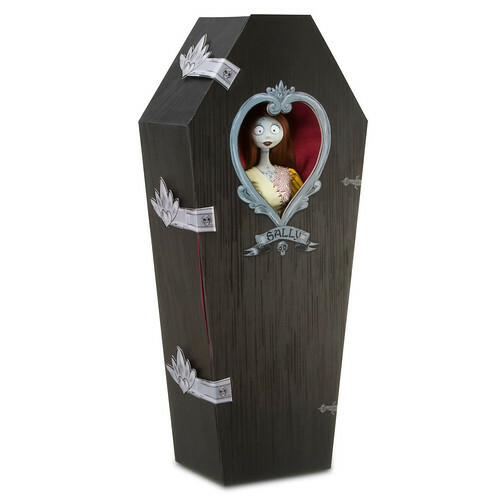 This is the case in store as well, you can preorder the doll in store on the preorder release date and they will hold it for you so that you can pick it up on release date. It is very important to note that there is no way to obtain the dolls within the US market (including Disneystore.com) on the release date of the doll if all the preorders are depleted. The only exception to this is the UK, German and France website wherein they do not do preorders. Therefore the items will be available for sale on the release date, however the stock allocated to the markets outside of the US are generally very small. Will my card be charged when I preorder an item from Disneystore.com? This has been asked numerous times and the answer in short is yes. What happens is that whilst Disney does state that they do not charge you at the time you place the order they do however take a hold on your card. The purpose of this is to ensure that you do in fact have the funds available. So what I generally recommend is that you should have the funds available in your card when you order the item. After several days of placing the order Disney will then release the hold on the card. 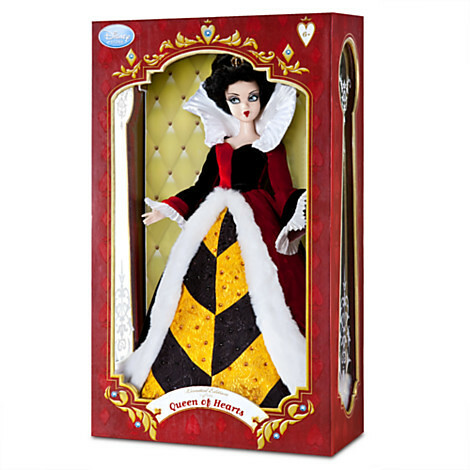 It is not until about a week or two before the doll is to be released that they will check the card again by placing a hold on the required funds. This is usually done closer to the point that they will be shipping the item, this is also why I recommend that you ensure that your card has enough funds at least 10 business days before the item is expected to be released. This is to save you the hassle of having to worry about your order going through. Should your card not have enough funds for the hold Disney will contact you either by phone or email however I would not guarantee that they will so I do recommend that if you notice that you have not been charged several days before the release you should contact the Disney Store to see if there are any issues. Can I use discount codes on Limited Edition dolls? No you cannot, no discount codes will work on the Limited Edition dolls. Can I use gift cards on Limited Edition dolls? Can I use the free shipping code on my order of Limited Edition dolls? Yes the free shipping code applies to all items online so long as if the order is greater than $75. 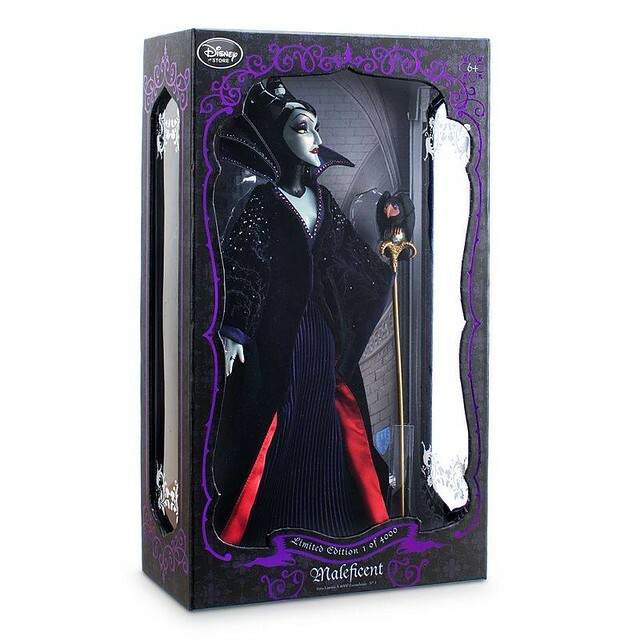 If ordering through the UK website disneystore.co.uk any orders over Â£50 will automatically have free shipping applied. No code is required. There are two ways you can check the status of your order. Through the order history if you were logged in to your account when you put the order through or by entering your order number and the other details requested such as your name, email, number etc. Active: Indicates the order has gone through and is still active. The order will remain at this status until the items have been shipped. So in the case of preorders your order can remain at this status for some time until the item is released and is shipped. Closed: Once DS processes your order for shipping (it is also at this point that they will have charged your card) they will then allocate a tracking number to the order (in some cases this can be more than one tracking number depending on what you ordered). Which you will be able to see in your order status page usually to the right of the item description of the item(s) you ordered. Your tracking number will also be emailed to you (generally referred to as the Blast Off email) to indicate the status of your order being closed. Cancelled: This is probably the status that you do not want to have unless you specifically called in to cancel your order. There are several reasons why an order may be cancelled (excluding you requesting an order be cancelled) but the reasons can include an oversell resulting in more orders compared to stock available or a decline in payment method and the inability to contact the buyer to rectify the issue. On some occasions a little message will appear stating something about the warehouse therefore the status is not up to date. This is nothing to worry about it just means that at the time that you checked the status the online system was unable to obtain information from the warehouse therefore the status may not be up to date. Usually if you just check the status again after a couple of minutes you will find the message will disappear. It is important to note that whilst Disney does provide you with the tracking number this does not guarantee that your order is on the way to you. It is very important to keep an eye on your tracking status. Initially what you find is that if you search the tracking number it will just state that the label has been created and can remain at this status for up to two days. The reason for this is because Disney generates the shipping labels which is then allocated to your order but does not necessarily stick them onto the product straight away. Until UPS does an initial scan of the package it will remain at this yellow label printed status, once UPS does an initial scan it will change to the green 'in transit' status. 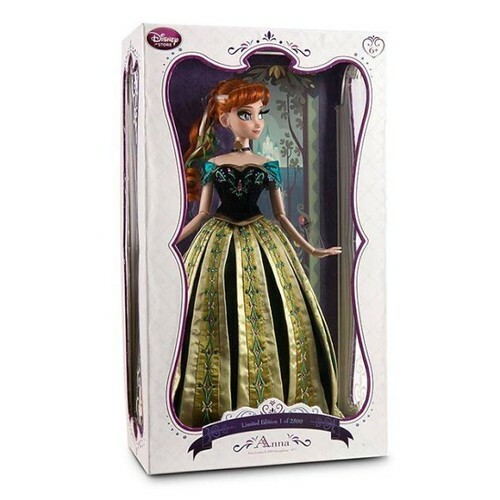 There have been situations wherein Disney has generated the label and attached them to items but not provided the items to UPS, therefore delaying the shipping process by a day. At the very most I would say if your shipping label does change to the green in transit status after 3 days of receiving the tracking label you should contact UPS to inform them of the issue, (it specifies on the UPS website that they will not be able to do anything until 3 days have passed). 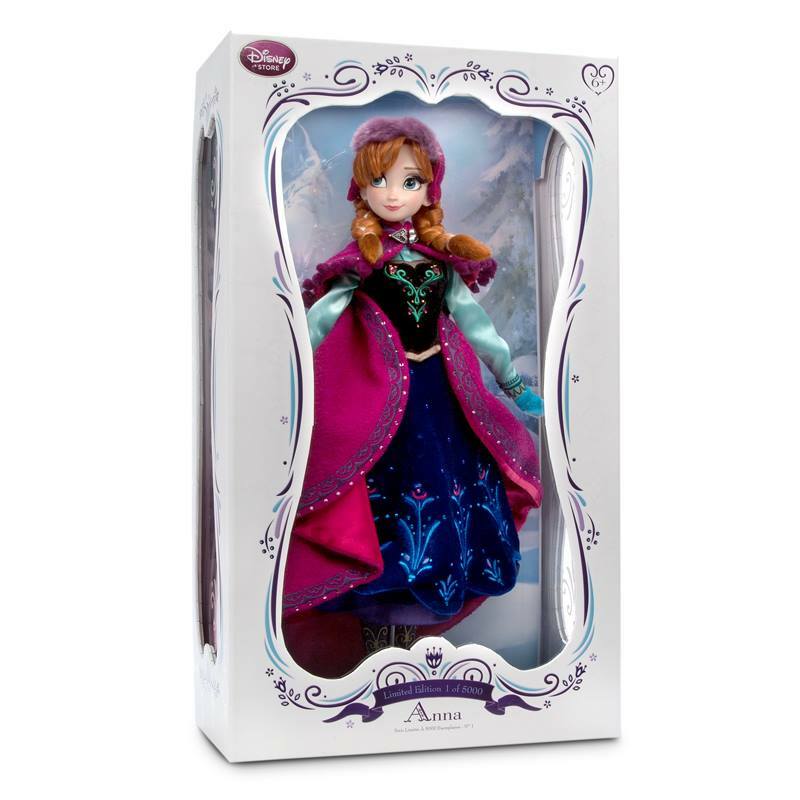 UPDATE 01/05/2014: Added details about the order status and added the Snow Gear Anna and Coronation Elsa doll details. Some old links were also removed PM me if you would like a link for doll where it is not provided. Released to commemorate the diamond release of Snow White on blu-ray. You were able to pre-order the doll similar to the ability to pre-order the blu-ray before its release. Note that if you purchased the doll you also received a copy of the blu-ray. 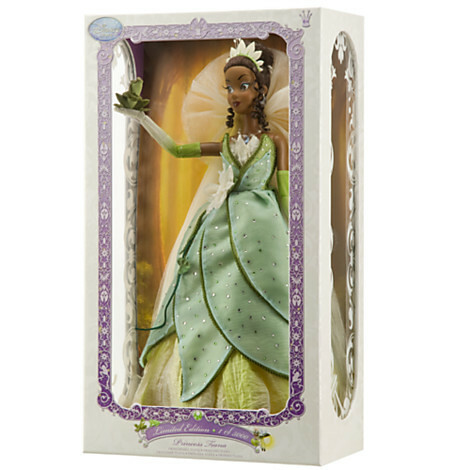 Released to commemorate the release of Princess and the Frog on blu-ray, note that if you ordered the doll you also received a copy of the movie on blu-ray. You were able to pre-order the doll similar to the ability to pre-order the blu-ray before its release. Released to commemorate the diamond edition release of Beauty and the Beast on blu-ray. You were able to pre-order the doll similar to the ability to pre-order the blu-ray before its release. Released in line with the release of Toy Story 3 in cinemas. Note there was a promotion where 40 people we able to have their doll signed by Joan Cusack in Chicago. Released to commemorate the release of Tangled on blu-ray. You were able to pre-order the doll similar to the ability to pre-order the blu-ray before its release. Released to commemorate the release of Tangled on blu-ray. This doll was not made available for sale until the actual day of release. 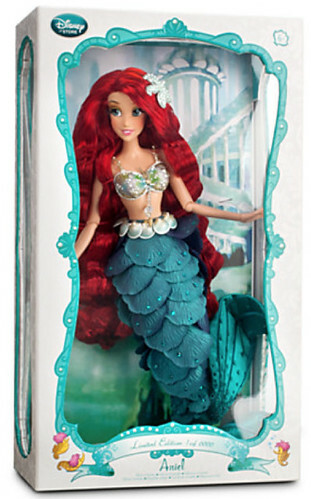 There were no pre-orders nor was there any announcement of the doll prior to its release, as a result it was deemed a “surprise” release by Disney. 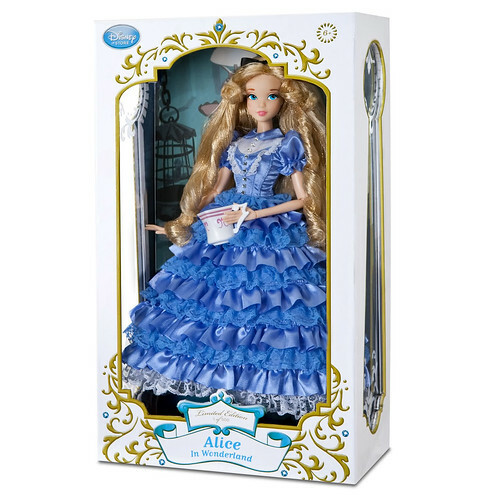 Released to commemorate the 60[SUP]th[/SUP] anniversary of Alice in Wonderland this doll was not expected or announced, it was just released on the day and as a result it was deemed a “surprise” release by Disney. This doll was not available in the Euro market. 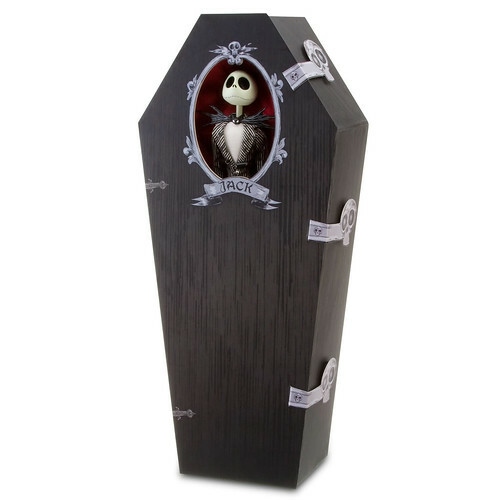 A special release to coincide with the release of Nightmare Before Christmas on bluray. 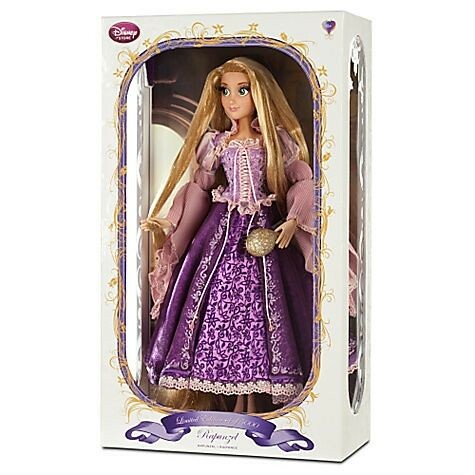 This doll was not announced on the website nor did it have a preorder available, it was released on the day for sale hence is considered a surprise release by Disney. A special release to coincide with the release of Nightmare Before Christmas on bluray. This doll was not announced on the website nor did it have a preorder available. 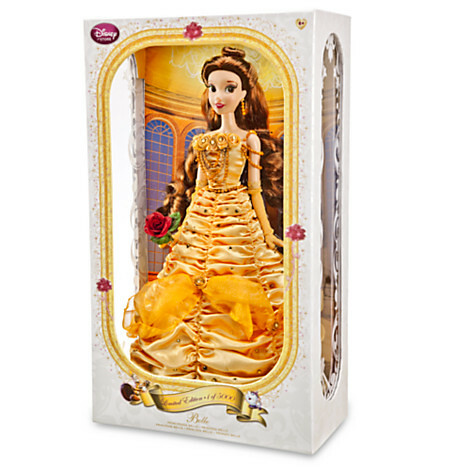 This doll is a special release doll to coincide with the release of the Disney short Ever After. 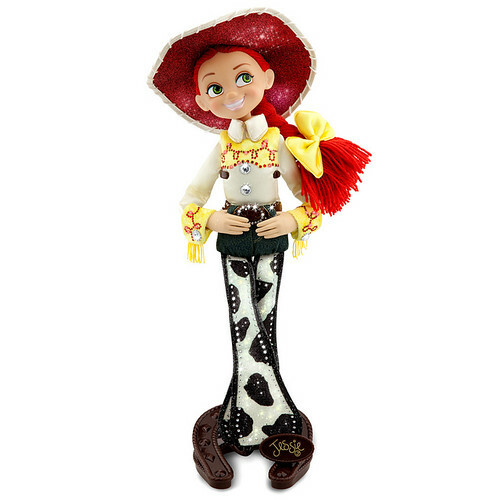 This doll was available for preorder online and was announced on the Disney Store facebook page. (thanks to Psantos for the details). 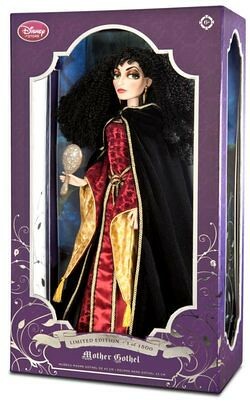 This doll was released to coincide with the movie release of Brave. This doll was not announced on the website nor did it have a preorder available. She did however have a teaser on the Disney Store Facebook page. As a result we were aware of her release prior to the release date. Released to commemorate the release of Cinderella on blu-ray. You were able to pre-order the doll similar to the ability to pre-order the blu-ray before its release. 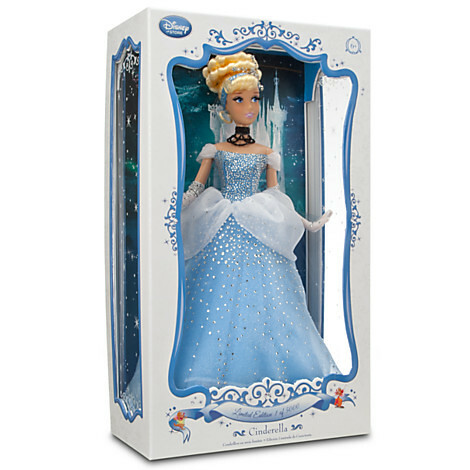 Released to commemorate the release of Cinderella on blu-ray. This doll was not made available for sale until the actual day of release. There were no pre-orders however the doll was announced on the Disney Facebook page a week before release the doll, regardless it was still deemed a “surprise” release by Disney. 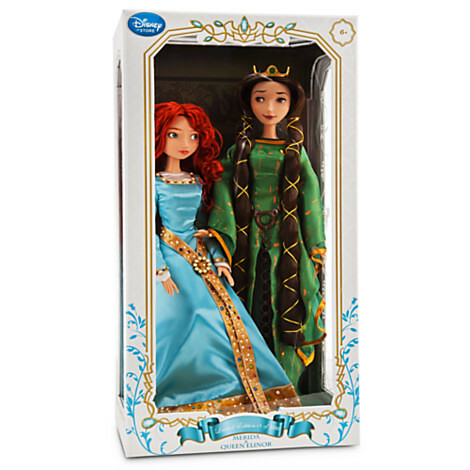 Released to coincide with the release of Brave on blu-ray this doll set was the first of its kind. This doll was available for pre-order however took some time to sell out due to the price. Released to coincide with the release of Wreck-It-Ralph in cinemas. Released to coincide with the release of Oz the Great and Powerful in cinemas. Released to commemorate the release of the Little Mermaid on blu-ray. You were able to pre-order the doll similar to the ability to pre-order the blu-ray before its release. Released to commemorate the release of the Little Mermaid on blu-ray. This doll was not made available for sale until the actual day of release. 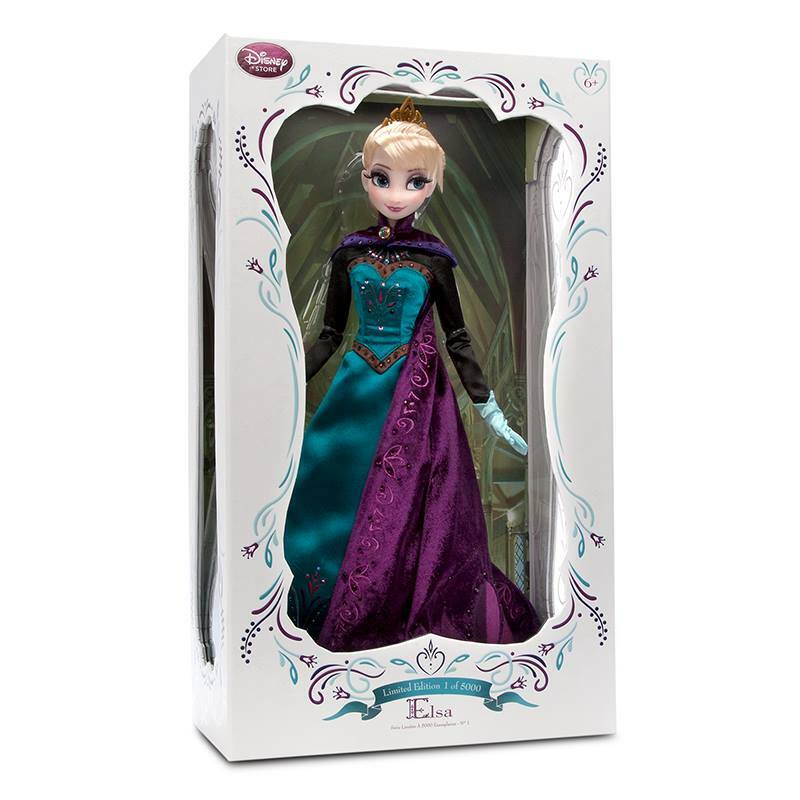 There were no pre-orders however details of the doll was released during the D23 expo. Regardless it was still deemed a “surprise” release by Disney. Released to coincide with the release of the movie Frozen in theatres. This set was exclusive to Harrods in London UK. It was released unannounced and was only through social media that people were made aware of the set. 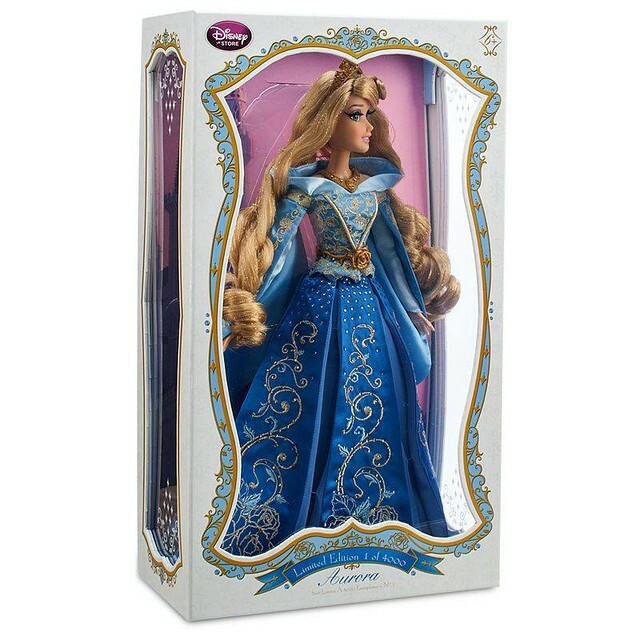 It is also the lowest edition size and the most expensive of all the LE dolls in the series. 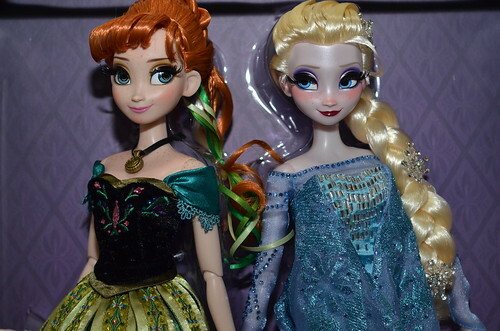 In terms of variances to the original dolls released on Nov 20 these ones have more details in the design of the dress as well as a few aesthetic changes to the dolls such as Anna having more freckles and Elsa having a pearl tone to her skin. This set was released to commemorate the opening of the Disney Store as a department within the Harrods store. Release to celebrate the release of the movie Frozen on BluRay. 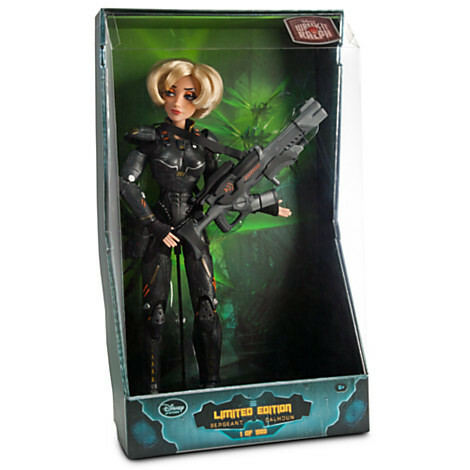 In proportion to the LE size this doll is the fastest to sell out, selling out in less than an hour at around the 40 minute mark of release. Release to commemorate the release of the movie Sleeping Beauty as a bluray Diamond Edition late Sep/early Oct (dates yet to be confirmed). Available only at the Harrods store in London and with a LE of 100, the set sold out by the 27th of October. 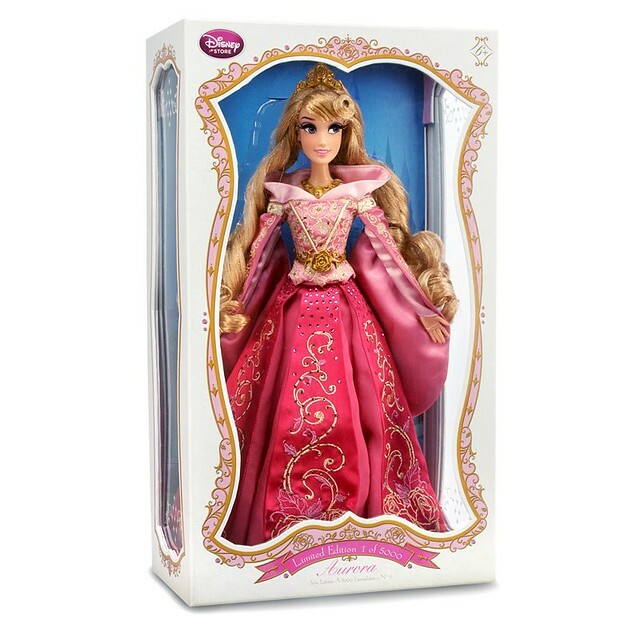 It featured Aurora in both versions of her dress, in pink and blue. The main variation was that the skirt was made of velvet as opposed to satin and there were more rhinestone details. It was this doll that was used for the stock photos for the normal set and as a result caused a lot of controversy due to people complaining that the pictures did not match the actual item. Brilliant! I love this thread! Please correct me if I'm wrong but I thought Disney officially announced Tremaine a week before she was released? And Ursula/Eric were announced at the D23 expo? The limited edition Jessie was released at the time TS3 was released in theaters, the buzz and woody were released for the blu ray release. Just to let you know in the UK we get free shipping on any order over Â£50 automatically added. Great thread. I agree the other thread was getting abit too much. Great summary, Polaris! I really appreciate you taking the time to summarize all of this. Hi everyone, thanks for the appreciation. I have made changes to my original post based on the information provided by other members. If there is anything else that you believe that needs to be changed or is incorrect let me know and I can update it accordingly. Thanks to Tarnation, blue2581 and IadoreWDW I have changed the post accordingly to reflect the points that you raised. Great idea!! I love how you incorporated the pictures too. I think this is super useful for new collectors. 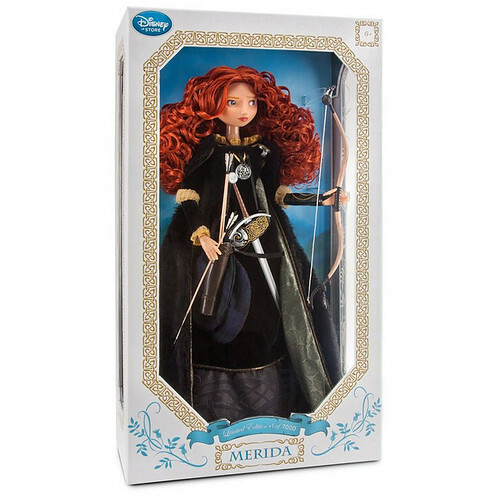 One minor note on Merida- she was teased/previewed with photos on the Disneystore facebook page before her release, so we knew she was coming even though there was no pre-order. What a helpful thread. Thank you for taking the time to do this. Please include the dates and currency for DS Europe in Â£ / € as many people here are from outside USA. This is so helpful!!!! - it was really difficult trying to figure out what dolls were our and the le sizes. This helps tons!! Maybe we can help Polaris out with our prices? LE Merida and Elinor were Â£120??? Aw I can't remember that one off the top of my head. Im not sure about the rest but that's a start Please anyone feel free to correct me if I have any of the above prices incorrect. I.e Merida and Elinor. The Designer Villians were discounted down to Â£24 but I'm not sure what they started as. Possibley Â£60? Thank you again, there were several dolls I didn't know about. Which makes my collection far from complete. Added a few to my wish list! Please note that I am also outside of the US myself and I just researched all of this information myself so it would be great if you could provide me with some of the information necessary as I do not necessarily deal with the Euro market. Also the release date of a majority of the LE dolls on the Euro market is the same date as the US. I believe the only one so far that I am aware of that had a different date was China Doll. Thanks so much for the information I really appreciate it, I have updated the post. I was not sure about the cost in Euros but I think I remember it being €80, please correct me if I am wrong. Great job with this! It'll be nice to have the reference! 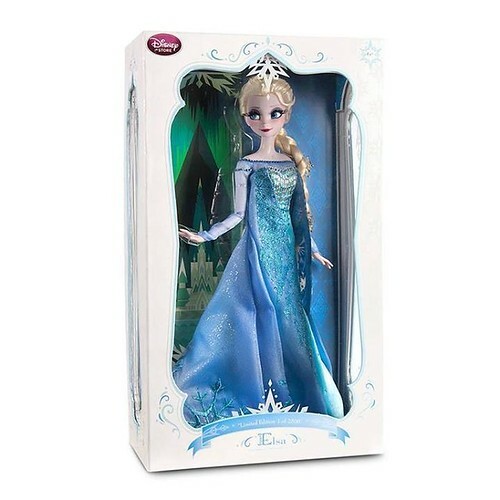 Just received confirmation on Frozen LE dolls, updated post accordingly. Is it possible to make this and the designer collection thread a sticky so it doesn't get lost in the shuffle and is accessible for future collectors?